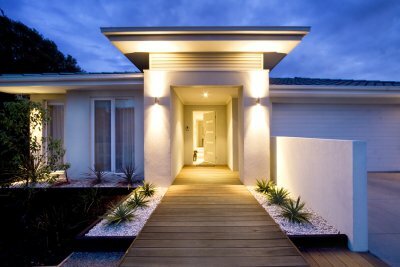 Outdoor lighting can add security to your property, but it can also be used to create curb appeal and atmosphere. 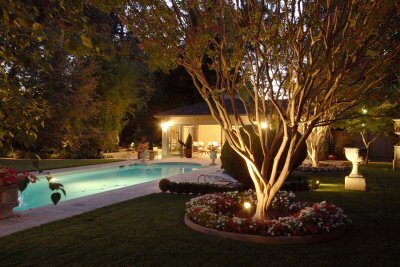 If you’re planning to enhance your landscaping with eco-friendly lights in San Jose, but you need some inspiration, then watch this video to see some beautiful outdoor lighting ideas brought to life. If there are steps in your landscaping, then consider installing light fixtures at stair level to give them a unique and contemporary look. 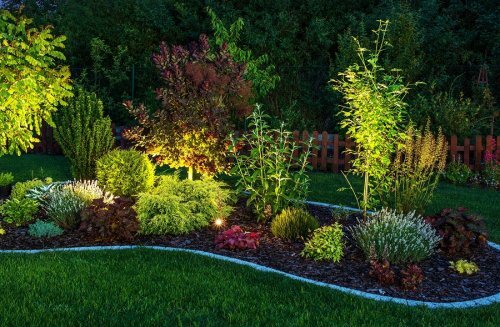 Next, if there are walkways that run through your yard, then you can add path lighting to increase both the safety and elegance of these features. Also, if you want to highlight your home’s exterior or specific landscaping features, then you may want to install uplights around their base. Finally, give your outdoor living area a luxury look by adding recessed lights to your covered patio. When you are designing a new kitchen island, it is important to choose the right lighting for your space. In this video, you will learn some essential tips for selecting the LED lights that will hang over your kitchen island space. 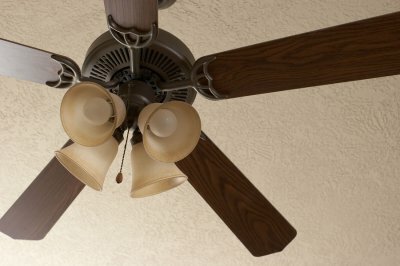 If your ceiling is a bit lower in height, you will want to pick out LED light fixtures that rest on semi-flush mounts. 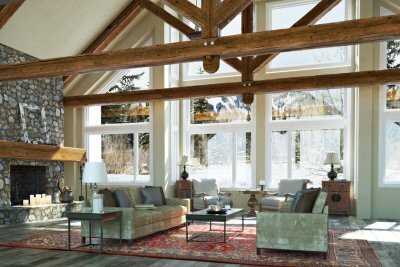 Higher ceilings can benefit from clustered pendant light installations. Your LED lighting specialists in San Jose can help you pick out the ideal lighting for your kitchen island. One of the benefits of choosing LED lighting for your kitchen is that these eco friendly lights will help you go green in your home. By making the switch to LED lights, you can conserve energy and reduce the amount of money that you spend on your monthly electrical bills. Are you interested in making the switch to LED lighting in San Jose? If so, then you can benefit from learning more about these eco-friendly lights. Read on to find out the truth about common myths surrounding LEDs. Myth #1: They don’t save power. Among the most common reasons why people delay replacing their old light bulbs with LED ones is a misconception that they are not energy-saving. 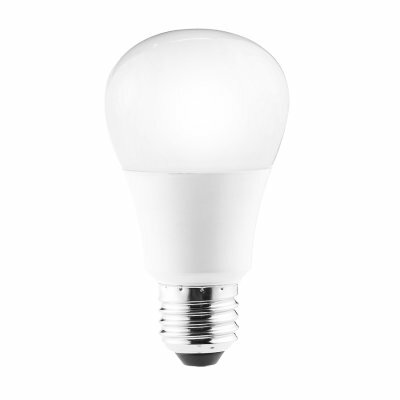 The typical LED bulb consumes between 1/8 th and 1/10 th the amount of power that an incandescent one does. Additionally, only about 10% of the energy used by an incandescent light bulb is used to generate light, while the rest turns into heat. Once you know the truth about how much less power is needed for LED lighting, the choice to switch to these bulbs becomes a simple one. Myth 2: They’re just a more expensive light bulb. LED lights are computers that are equipped with electronic chips, and they function much differently than incandescent bulbs, which are powered by vacuum-tubes. It is true that early LED light bulbs were costly, but those that are available today are significantly lower in price. When you consider their power-saving qualities and long lifespan, LEDs more than make up for their cost over time. Myth #3: They don’t work. Another reason why you might find yourself hesitating before buying an LED light bulb is having the misunderstanding that these lights don’t work. In reality, many industrial equipment manufacturers, TV makers, and car manufacturers have made the switch to LED lighting to cut down on power. Furthermore, LED bulbs are more durable because they don’t shatter like their conventional counterparts or contain electrodes and gasses. Myth #4: They aren’t worth the investment. 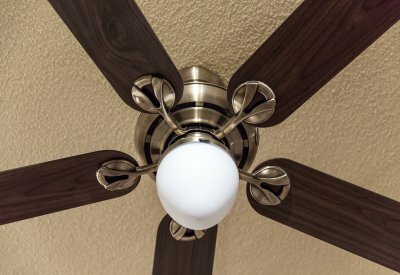 As household appliances continue to be made more and more energy-efficient, some experts predict that lighting will eventually account for a significant portion of the average household’s electric bills if changes in lighting aren’t made. Making the switch to energy-efficient LEDs can reduce your household’s energy costs now and long-term.